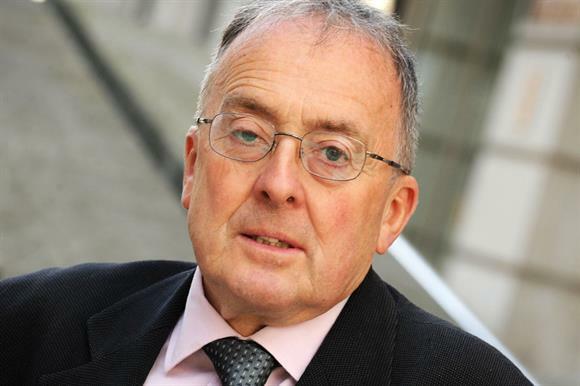 Sir Stephen Bubb, head of the charity chief executives body Acevo, has said there is a perception that the Charity Commission is disproportionately targeting Muslim charities. In a blog post published yesterday, Bubb said he had a meeting with the chief executives of Islamic Relief, Muslim Aid and the head of the Muslim Charities Forum, who had told him that it appeared that regulator was "targeting Muslim charities in a disproportionate way". The regulator rejected the claim of any bias in its regulatory work and said it was not possible for it to "remain silent about the risks and problems charities face". Bubb said the leaders had come to talk about their fear that recent actions by the commission were damaging the reputation of Muslim charities. He said it was the regulator’s role to examine and deal with complaints. "In the turbulent world we live in, we are aware of terrorist threats from many parts of the globe," he said. "But if that raises perceptions of a bias then that is in itself a problem. A perception is neither true nor false – it's a perception – but damage can be done to charitable giving through bad perceptions." Bubb said it was worrying that the regulator had publicly announced a statutory inquiry into Muslim Aid. The regulator revealed that it was investigating the charity when it announced that it would in future name all charities that become the subject of statutory inquiries. The charity said at the time that the inquiry was launched in November after Muslim Aid had itself notified the commission of "non-compliance with some operational aspects in two field offices". Bubb said that announcing the inquiry into Muslim Aid "had a devastating effect on its potential for fundraising now". "Before even the results of the inquiry are known, it is now under a cloud of suspicion," he said. He said the move had ramifications for the charity’s day-to-day business in making charitable payments around the world. "How ironic that against the background of the most terrible suffering of the civilian population in Syria, it has become so difficult for Muslim charities to provide humanitarian aid," Bubb wrote. He said he would be raising the issue with the commission. A spokesman for Cage, an advocacy organisation working to empower communities affected by the so-called "war on terror", agreed with Bubb. He said that the perception that Muslim charities were being unfairly targeted could be traced back to a Sunday Times interview in April with William Shawcross, chair of the Charity Commission, in which he said that Islamic extremism was "potentially the most deadly" problem the regulator faced. "These unhelpful comments have created an environment in which Muslim charities feel like they are being unfairly targeted," the Cage spokesman said. A spokeswoman for the Charity Commission said it "categorically" rejected any suggestion of bias in its investigative work. She said that the opening of an inquiry was not a finding of wrongdoing, and that the regulator was committed to being transparent. "We are alert to how sensitive this issue is and are careful when we discuss it, but we cannot control how our comments are reported in the media," she said. "Our principal role is to prevent and tackle serious abuse and mismanagement, and it is therefore not possible for us to remain silent about the risks and problems charities face. Doing so would mean reneging on our responsibility as regulator."